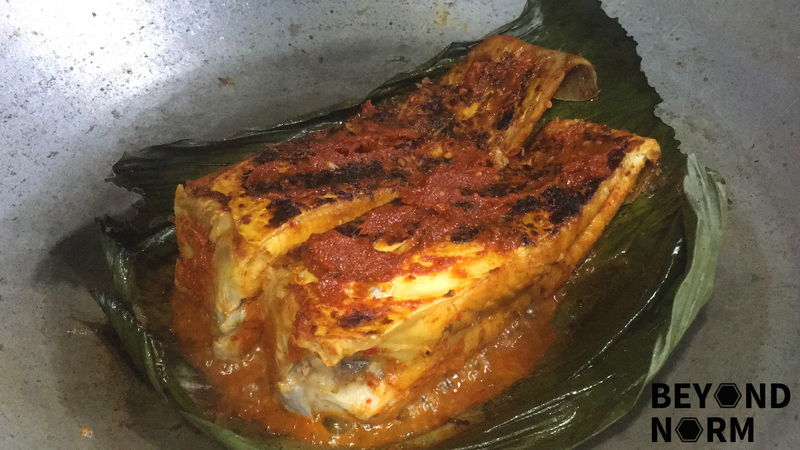 Sambal Stingray is an Eurasian dish. Stingray was introduced into the Malaysian cuisine when the Portuguese traders brought it to Malacca. The stingray was then cooked with local ingredients. 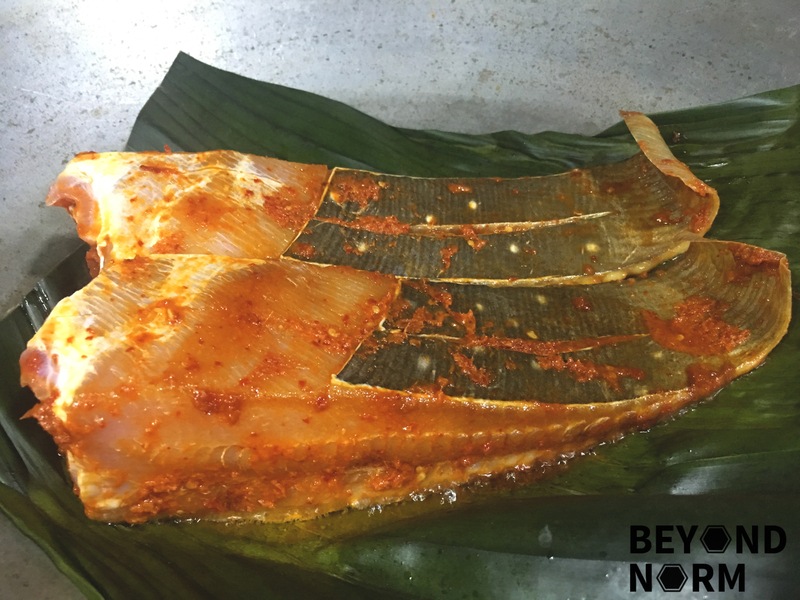 Malaysians and Singaporeans love Sambal Stingray, also known as Ikan bakar in Malay, is basically barbecued fish. 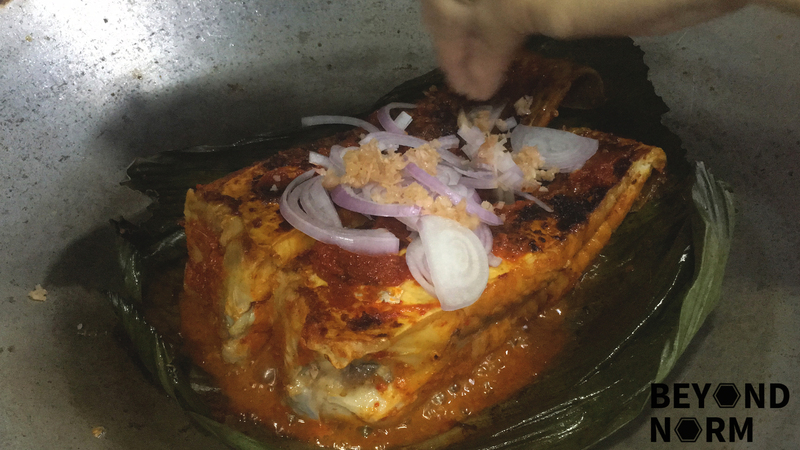 It is marinated in an abundance of sambal paste and served with a good dosage of lime juice squeeze over it. 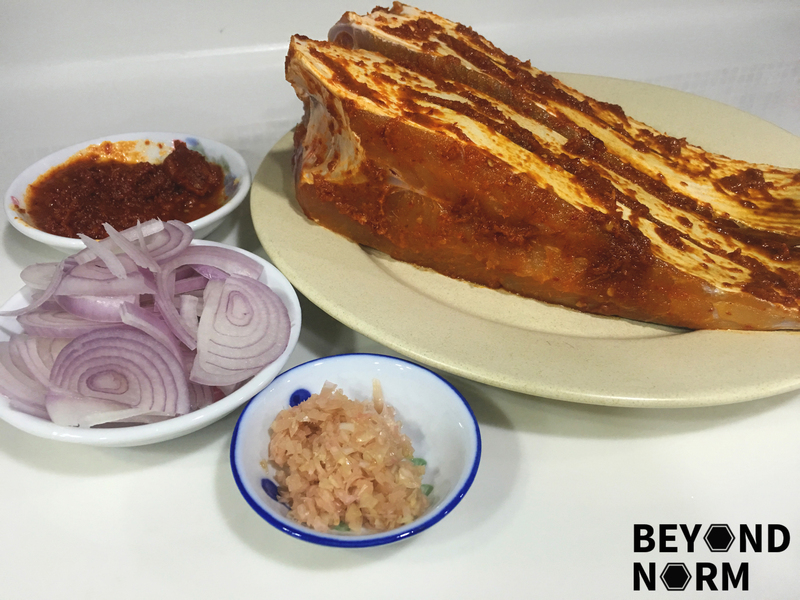 Sambal Stingray is one of our family’s favourite spicy food. When we just returned to Singapore a couple of years ago, we used to frequent a hawker stall in Ang Mo Kio which served a variety of seafood dishes including the sambal stingray. Ever since I began to make my own sambal chilli, I always cooked it in the comfort of my home. I usually try to char the banana leaf so as to mimic a barbequed flavour for the fish. I load it with thinly sliced red onions and torch ginger in the cooking for added flavour. If you like this recipe, we hope that you could provide us with some feedback/comments via our blog. We would also like to welcome you to join our Mummy’s Kitchen Facebook Group for food lovers like you newbies or veterans. You can like us on Beyond Norm’s Facebook Page and subscribe to our blog and Instagram @beyondnormblog to get the latest updates. If you love videos subscribe to our YouTube channel @beyondnorm. Rub the ray wing generously with sea salt, then set aside for 10 minutes. Rinse and pat dry. Smear the stingray with 1 tablespoon of sambal tumis chilli on each side. Heat 1 tablespoon of oil over medium-high heat. Then place banana leaf on pan. When it sizzles, place the stingray on the leaf; skin-side down. Let it fry for 1 minute and then cover for about 5 minutes. Lift up the stingray and place another banana leaf on top of the charred leaf. Place the other side of the stingray on the leaf and now the skin-side is up, i.e. sambal-smeared side is always down. Add another 1 tablespoon of oil to the hot pan again. Then add the sliced onions and torch ginger. Cover the pan and let cook for another 5 minutes or till the flesh is cooked well. Remove the stingray with the banana leaves and place it on a plate. Add an extra 1 or 2 tablespoons of sambal over the fish. Don’t forget to squeeze the lime juice over the fish before serving.